North American Mycological Association (NAMA) – NAMA is an organization of professional and amateur mycologists across the continent. The Madison Mycological Society, along with over 80 other clubs, are affiliated with NAMA. Mycological Society of America (MSA) – MSA is the professional mycological society of the United States. Many mycologists attend MSA’s annual meeting. Wisconsin Mycological Society (WMS) – If you are in the Milwaukee area, WMS also offers forays and other mycology-related events. iNaturalist – This is a citizen science platform where one can upload pictures of observations (of fungi or any other group of organisms) and people across the world work together to identify your find. 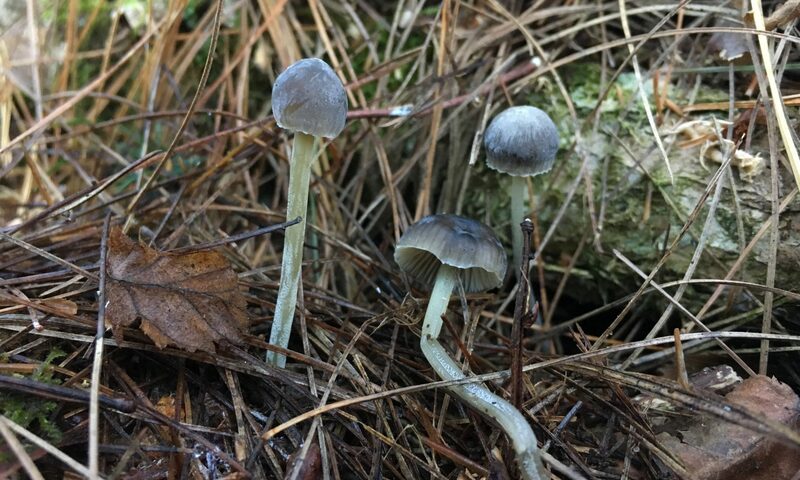 Mushroom Observer – Like iNaturalist, this is a platform to upload photos of observations, but is dedicated to fungi. There is a very active community of mycologists who work together to identify your observations. This platform is a great learning tool for mushroom identification. MyCoPortal – MyCoPortal is the Penn Station of fungaria. You can explore the vouchered fungal collections from all the different herbaria in the United States. There is also has an awesome map feature that allows you to see where a given species has been collected in the United States and where that collection is now deposited. North American Mycoflora Project (NAMP) – NAMP is a collaborative project between MSA, NAMA, and many other individuals and clubs whose goal is to document the entire diversity of macrofungi of North America. Madison Mycological Society is a participating member of NAMP, working to discover and document the fungal diversity at the University of Wisconsin Arboretum. MycoBank – See the currently accepted name and taxonomic history of any fungal species. Index Fungorum – This site, like MycoBank, shows the currently accepted name for any given species.